The U.S. Postal Service’s regulator on Tuesday approved the largest-ever price increase for the cost of a stamp, cementing a 10 percent spike to bring the price tag for sending a letter to 55 cents. The Postal Regulatory Commission approved the jump after determining the Postal Service’s proposal complied with requirements, such as ensuring any price surge is not more than inflation. Prices will increase across the agency’s offerings by an average of 2.5 percent, the inflationary cap. Individual offerings, such as the stamp for regular, first-class mail, will outpace that rate. Packages sent as Priority Mail will see costs rise by 5.9 percent, while Priority Mail Express will have 3.9 percent higher rates. The new prices will go into effect Jan. 27. The 5 cent increase on stamps is the largest increase since 1991, when the Postal Service raised the price 4 cents to $0.29, a 16 percent increase. 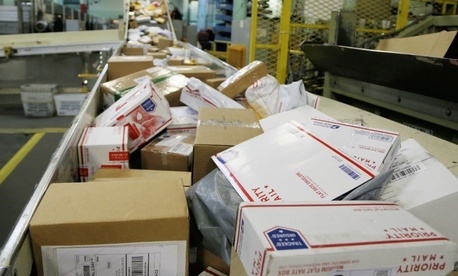 USPS has for years sought more autonomy to set higher prices for its products. In 2016, PRC actually forced the Postal Service to roll back its prices after allowing for an emergency increase higher than the rate of inflation, citing the impact of the economic recession. That decrease has cost the agency hundreds of millions of dollars each quarter, USPS has said. Postal management has since requested that it have full control over setting its prices as it sees fit. PRC has proposed a new system denying that request, but allowing for price increases that outpace inflation. President Trump has blasted the Postal Service for undercharging at least one of its large customers, namely Amazon, for shipping services. He signed an executive order creating a task force to recommend changes to USPS operations, including its pricing structure. That group has delivered its preliminary recommendations to the president and is working on a final report, which is expected before the end of the year.